When junk really starts to pile up beyond control in your home, the idea of clearing it out can seem overwhelming, if not impossible. But before you resign yourself to spending every free weekend cleaning out your basement, attic, or garage, call on our team for help. As an established junk removal company in Glenview, IL, we offer residential clean out services designed to save you time and aggravation. With residential clean out services from A-Affordable Hauling, you’ll be able to handle your junk problem without stress and anxiety. One reason why people accumulate so much stuff is that they dread dealing with clearing it away—and rightfully so. No wonder: One look at all those boxes, old toys, outdated appliances, and broken furniture is enough to drive anyone up the wall. That’s why we’re here to take care of your junk removal for you. Our residential clean out services are designed to bring back a measure of sanity and relaxation to your life. So don’t worry about that pile of junk. We’ll get rid of it for you. 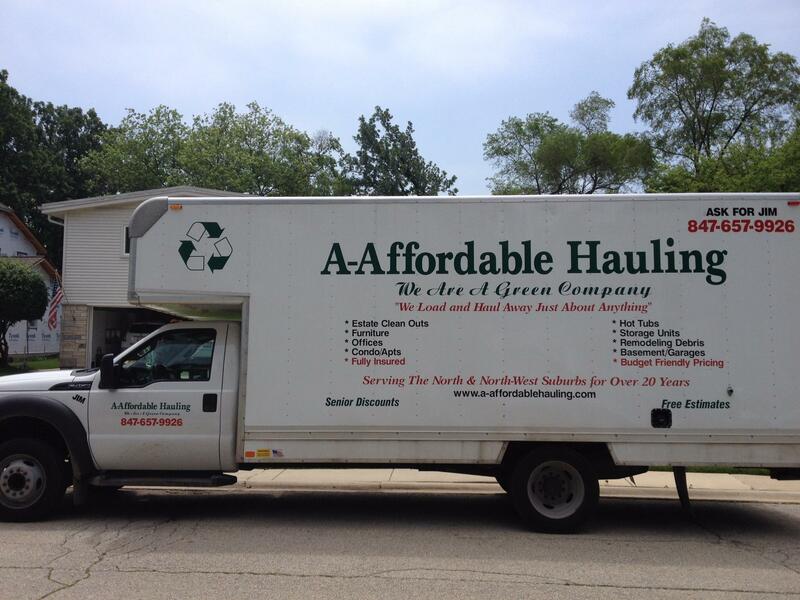 Give A-Affordable Hauling a call today to schedule an estimate and see just how easy it is to work with us.